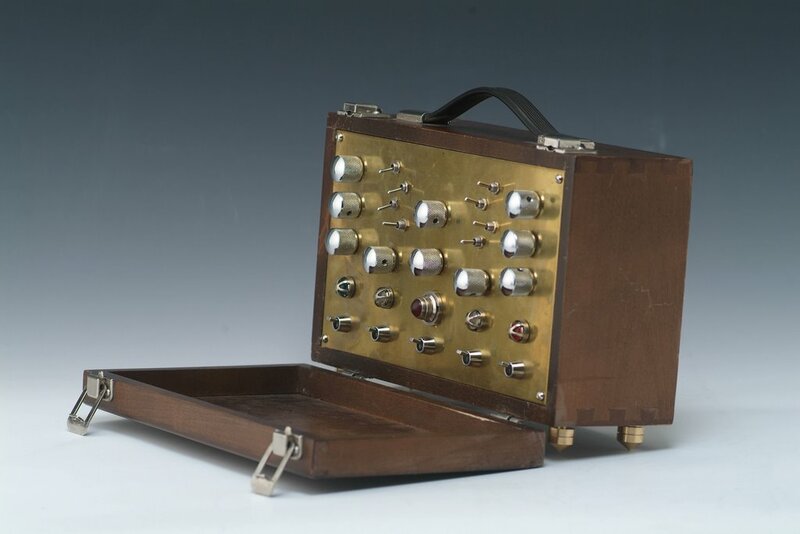 While always staying busy Mike Ford managed to complete another impressive instrument. From his email I paraphrase more or less. This MicroSynth purposely uses old electronic toys with the main sound modules being 2 toy rayguns from 1980, made by Kuson. 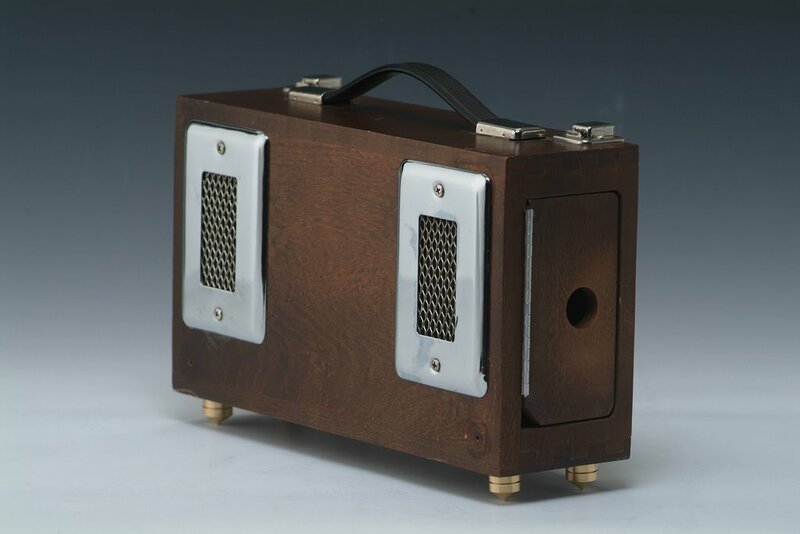 The case was a salvaged speaker used to train nurses and was found at a medical surplus. On the left and the right are the canakit “bucket brigade” chip driven delay kits. The second set of switches and knobs controls the bent guts of the 1980’s rayguns driven by a Texas instrument chip, presumably not an SN76477. The center is a salvaged computer stereo speaker amp guts and the fourth channel, is another circuit bent kuson phazor raygun circuit, wired a little different and lastly another canakit delay unit. The faceplace is solid brass and was acquired from Speedy Metals eBay store. 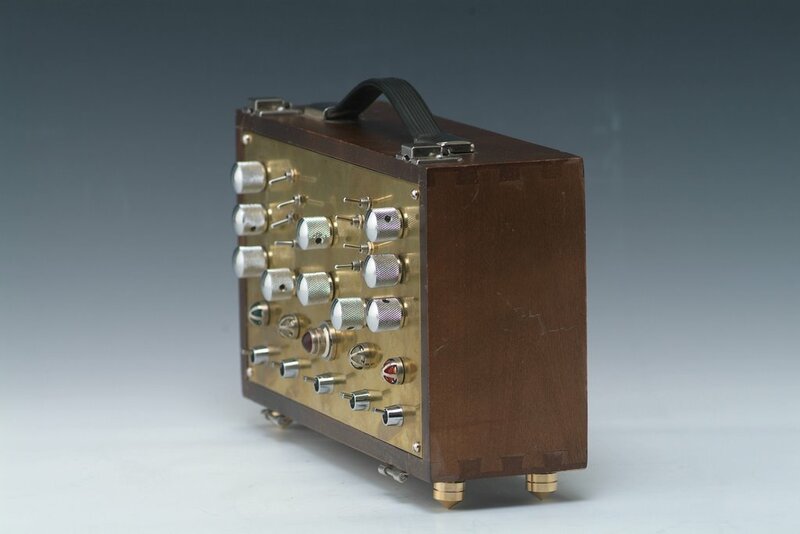 To power this device 3x9volts and 16xAAA are needed, no power jack for complete portability. Another very nice work indeed. Thanks Mike, can’t to hear this thing.